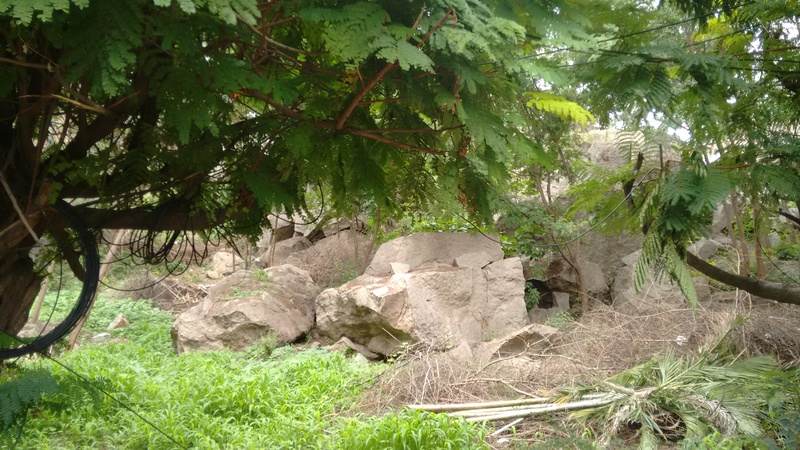 A rock formation near my office, Hyderabad. I took the above pic some distance from my office. I was more interested in the entire scenery, but then I found the rock formation intriguing. Remembering one of my Hyderabadi friends telling me that there was an organization to protect rocks (! ), I thought to look it up on the internet. And indeed, there is. And there is a lot more to it. These rock formations are known as ‘inselbergs’ (meaning island hill in German). 2.5 billion years old, they are seen mostly in the Deccan plateau area of India, i.e. in the states of Telangana and Andhra Pradesh. Hyderabad seems to dominate the list – in Wikipedia’s list of rock formations in India, 1/3rd are in Hyderabad itself! But rapid urbanization is destroying these formations. There have been efforts to preserve these, one of them being the Society to Save Rocks. This society came up with a list of rocks which need to be protected, and 24 of these have now been officially recognized. (You can see the pictures and the write-up on their website here.) They also try to spread awareness by activities like conducting rock walks, and printing books, calendars and pamphlets. P.S. Though the above photographed rock formation isn’t famous, there is one very close by called the Toadstool, which is on the preservation list. Hi Pranav, this is so informative. I’m hearing about this for the first time. Thanks for sharing!! Thanks Pallavi, hope you doing good. 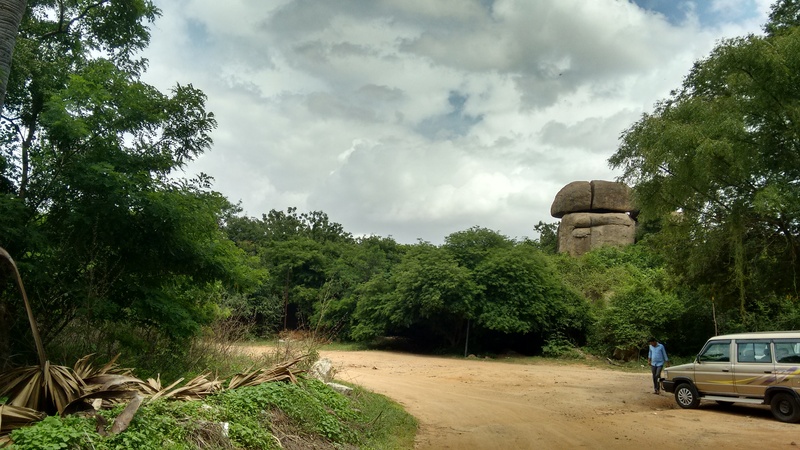 Very nice to know history behind the rocks in the Hyderabad…..
Hey Sivaji, thanks! Hope you doing good. I am glad there are efforts to protect these rocks which will remain after our rather destructive species is all gone. I remember being awed and intrigued by them.Lovely photograph and sensitive blog too.